I received a sample of Miss Jessie’s Jelly Soft Curls gel in my Birchbox last month. Over the past few years I have grown to embrace my curls, letting them loose more often (especially during the summer). Everyone’s curls are different and I normally don’t go the gel route; my curls are light and gel usually made them heavy and crunchy. Miss Jessie has changed that for me. This gel will leave your curls so light and shapely. I love it! To learn more about this product click here. The other day my husband brought these home from the grocery. I was at first skeptical. I love their other products (hot dogs and cold cuts), but every time I have bought a healthier version of chicken nuggets they don’t taste good, prompting a regrettable return to the Yummy brand dino-shaped nuggets. 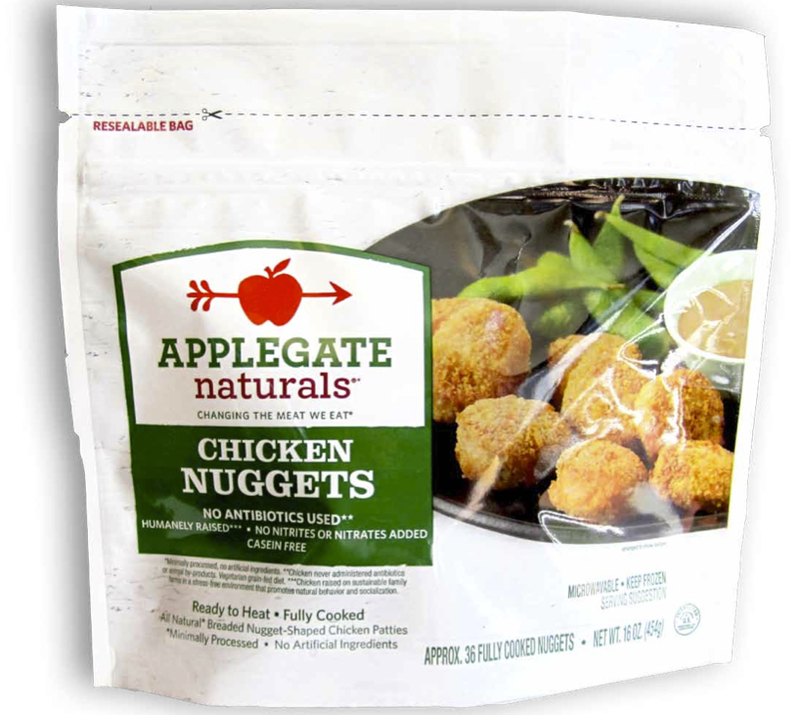 I thought the Yummy brand was a healthier choice over Tysons and Perdue, but after reading this report, I am so glad I found the Applegate nuggets. The kids loved them! They are very tasty and have a lot of chicken meat. They really taste homemade. I have made homemade nuggets, but those have always been met with negative review from my boys. During the summer, I feel like I am always in the kitchen making food. Weekday lunches have to be fast and easy, but somewhat nutritional. I urge you to change your home nuggets if you are buying the other crap (lets face it, its crap). If you aren’t making your own nuggets, give these a try. They are fantastic! Thank you to Vanessa for suggesting this show to us. During the summer, my hubby and I like to watch shows we didn’t discover in the regular season. I heard through the grape-vine that this show was great, so I am glad we have finally started to watch it. House of Cards is a political drama based off a BBC miniseries of the same name. Both are based off a novel by Michael Dobbs. 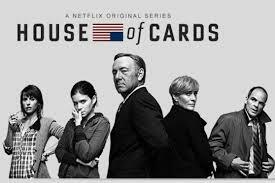 House of Cards is set in modern-day Washington D.C. and follows the revenge path of scorned Congressman Frank Underwood, sublimely played by Kevin Spacey. Along the way we meet his wife, Claire, played by Robin Penn Wright who runs a non-profit; a young ambitious journalist Zoe, played by Kate Mara; and a down-on- his-luck Congressman Peter Russo, played by Corey Stoll. The acting is phenomenal. I encourage all of you who like political dramas to give this one a shot. You will not be surprised if you over stay your welcome in the House of Cards; you will leave wanting more! It is a Netflix original series, but I believe now you can get it on DVD. If you have Netflix streaming, you can access it with ease. I just love when you step out of your car when getting to the beach and getting that first whiff of sea salt air. I wish I could bottle that scent. 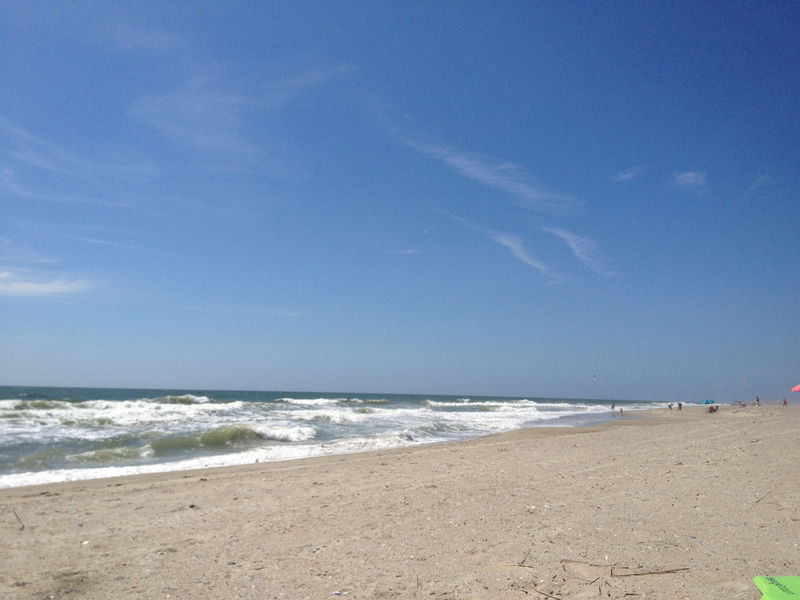 This past Sunday my family spent a glorious day at Kure Beach in North Carolina. I would like to thank my friends (well, really they are like family) Vanessa and Matt and their families for opening up their beach house to us. There is nothing better than spending a day on the beach with loved ones, good food, drinks, and laughs. 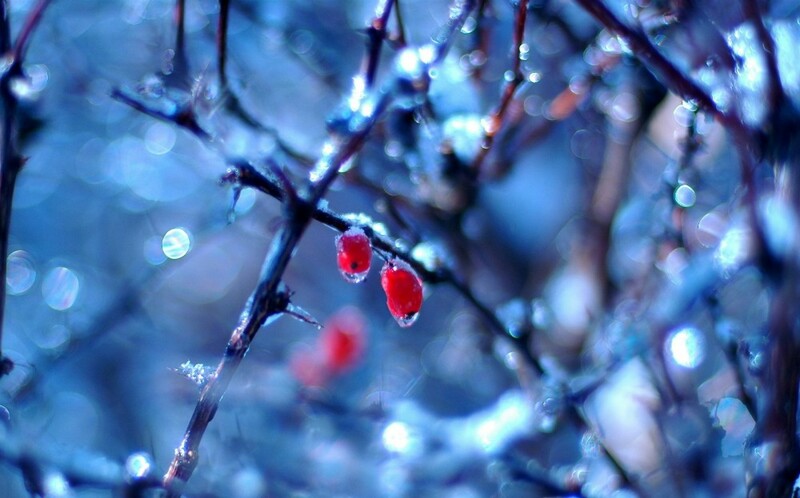 This past week was a little hectic, so I am sorry I wasn’t able to post it on Friday. I hope you all have a great week! What some of your favorite things you have discovered recently? This entry was posted in beauty, entertainment, family, food, healthy living, My Favorite Things, North Carolina, seasons/holidays, Travel and tagged Applegate, beach, beauty, Corey Stoll, entertainment, family, gluten free, House of Cards, Kate Mara, Kevin Spacey, Kure Beach, Michael Dobbs, Miss Jessie's Jelly Curls, Netflix, Robin Wright, tv shows by ordinarylifeisextraordinary. Bookmark the permalink.